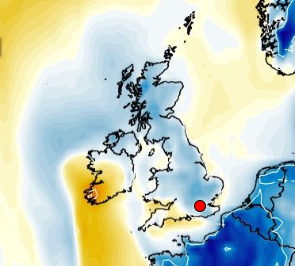 A SCANDINAVIAN blast of icy air will continue to keep Britain in the freezer today – ahead of a feared Easter washout next weekend. 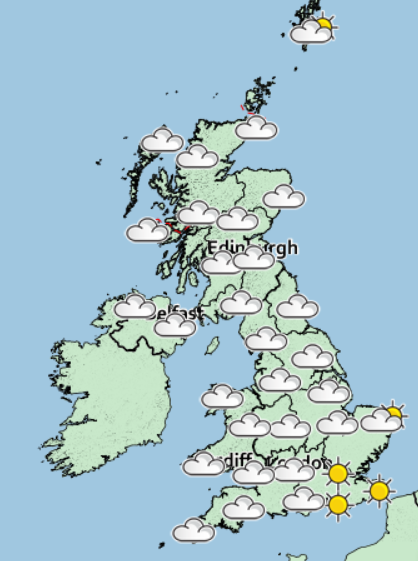 Sunday will be mainly dry and cloudy with some welcome spells of sunshine. 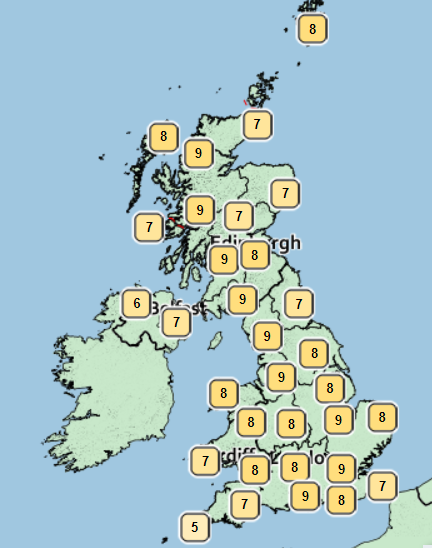 But the mercury won't even breach double figures anywhere across the UK today, according to the Met Office. 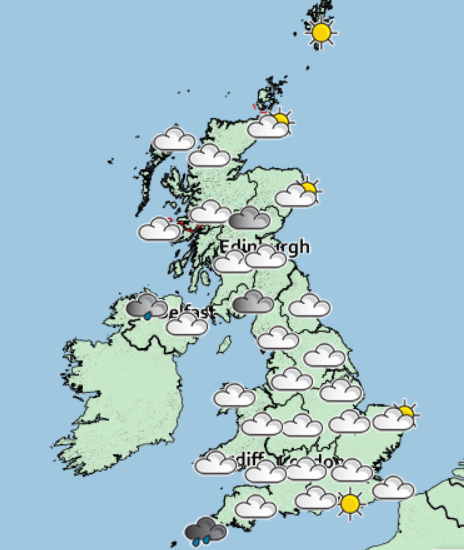 There will be some isolated brief showers mainly in eastern areas and the far west in Cornwall and Northern Ireland. 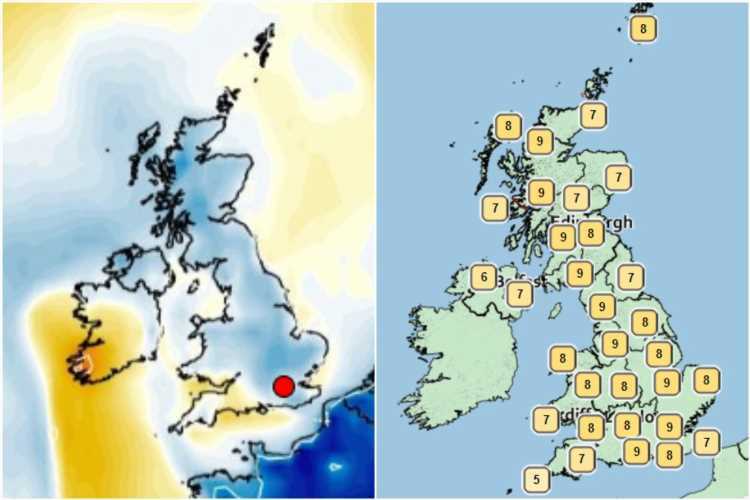 The cold weather will be the most noticeable aspect of the weather – with highs of just 9C and bitter nighttime drops as low as -5C. In its latest forecast, the Met Office said: "Most areas dry with sunny spells, although chilly. 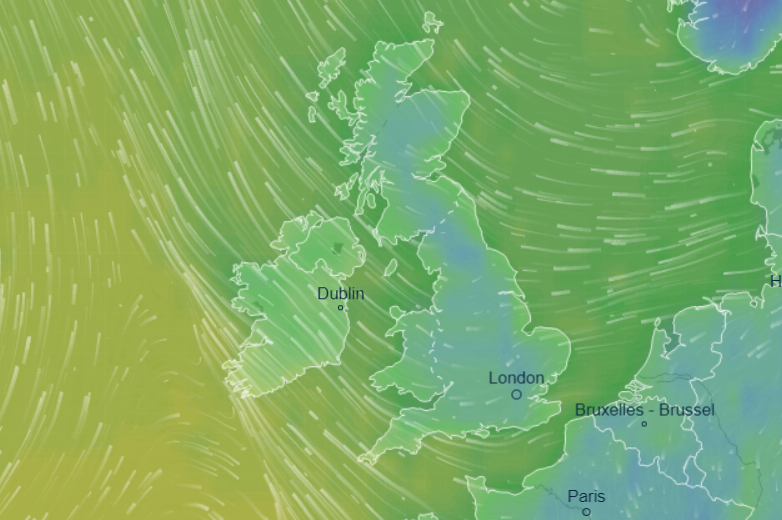 And forecasters at Meteogroup UK: "The morning will be dry with sunny spells for many central and eastern parts, although a few showers are possible for North Sea coasts. Although the country will not be basking in warm weather, at least it will be mainly dry – something that cannot be said for the long Easter weekend weather. "Temperatures could be slightly above average for the weekend itself… I wouldn't rule out snow in parts of Scotland". It comes despite predictions that sunbathers could bake in 24C temperatures over Easter – but the band of rain is set to cool things down.